Launching the fresh political season today, Riigikogu stands faced with problems at home and abroad. Not limited to the European refugee issues, heads of the factions think it important to progress with administrative/state reform, helping the farmers, and work capacity reform. A very bulky coalition treaty is waiting to be applied. So we’ll have to get busy and do it. There’s work enough for government and parliament alike. Naturally, all intents of the coalition treaty will be compared with options at budget discussions. The budget bill features pensions rise, family allowance boosting, and progressive rise of income tax minimum to €205 a month. The law has to be amended for extra benefits to lone pensioners. What I consider as important are the bills to better business environment. Specifications are in pipeline for order of transactions with state real estate (land, buildings). That’s about State Assets Act. Regulations regarding arrangement of public procurements will be updated, to provide for improved quality of tenders. District Heating Act will be reviewed for more consumer-friendly prices. For that, a more entrepreneur-friendly investments environment will be created to make heat production cheaper. Serious preparations are underway for execution of administrative reform. The time is ripe to conclude a lengthy process. The voluntary mergers of local governments within the reform must be completed by local elections in 2017. The urgent issues are on agenda as the swine fever doing serious damage to rural business. The Europe-wide issue of helping refugees of war will be on agenda for a long time. Doubtless, the new season shall be complicated and full of challenges, as shadowed by the all-European refugee crisis and the tense security-political situation. We will continue towards best implementation of the coalition treaty. For us soc dems, what is of great significance is the add-ons we managed to insert – in near future, these will have to get a content! We’ll need to agree about timelines to prepare the bills. The most urgent issue, at the moment, is to create a financial mechanism to assist the farmers threatened by bankruptcy. In no way can we neglect the fact that our two leading branches of agriculture – pig farming and milk production – are in deep crisis. We need to find additional solutions how to support the farmers. Surely there’ll be tough talks with partners regarding the coalition treaty items like moving jobs out of Tallinn, enhancing teleworking, improving local government financing, as well as rising the income tax minimum and minimal wages. The key words for the political year will be administrative reform and Estonia-Russia border treaty which the government has promised to send to the parliament. In the fall, the greatest challenge will be the state budget – it would be naive to think that this year the debate will be easier. In coalition governments, cooperation is never smooth and problems-free. Neither is this the goal. The goal is to stand for the welfare of our people to improve, and that Estonia’s security be guaranteed. By our chairman now in government, we will be able to more forcefully stand for our agenda. I hope that state and administrative reform will dominate the season. For the reform to happen, the bills related to it must make it to Riigikogu pretty soon. For me, the weightiest issue is making maintenance of the state affordable for the society. Naturally, this will not be a simple and smooth procedure, but it is urgently needed. The society is astir about the refugees issue. The matter will definitely come to the parliament, to which degree we are willing to help. We must agree about a host of issues from who can be settled and where, and to the compulsory study of Estonian language. The swine fever continues to be a hot topic, as are the measures to counter it. Regrettably, this is not all that the agricultural sector is faced with. The sustainability and competitiveness of Estonian pig farming and dairy farming is paralysed. Neighbouring nations have subsidised the domain. We will need to decide what our options are to help the sector. Teachers’ wages, the keeping and the financing of the schools are constantly on the agenda. A bill will be proceeded to alter financing system of private schools. Europe is in crisis and its impact reaches all member states. On top of that, we have lots of problems of our own. I hope we will have the wisdom to solve them and avoid creating new problems. Up to now, the Free Party has focussed on posing questions related to democracy. Now, we want to be more about initiatives regarding taxes, the economy and the social issues. We are working towards a switch to hour-based wage calculation, to provide more options for cooperatives in business. We expect members of the parliament of all factions to be open to initiatives and to go by the best interests not by party prescriptions. Soc Dems ought to support out bill regarding rising income tax minimum and income tax rate. This is a zero sum game advantageous for most wage earners. Both Soc Dems and IRL should support the switch to state-wide open lists. We sense the initiative of the Free has large support in the Riigikogu but the people lack the decisiveness to express it. We call for boldness of action in Riigikogu and government. 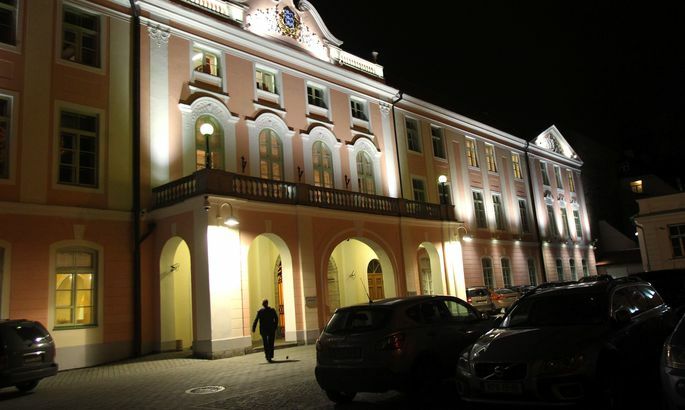 Regarding the financing of political parties, the minister of justice will reply to the inquiry on the first day the Riigikogu convenes for work; we have forwarded a bill and we will definitely propose for the state budget to cut that money by half. In addition to state budget, we expect initiative by the government regarding state and work capacity reforms, to site some, and want to have a say about these subjects. From the Prime Minister, we expect more decisive actions including replacing such ministers as are bad at their job. The new Riigikogu season will be intense and filled with activity. While regarding running revenues of the state budget, the vital decisions have already been taken by the summertime tax rises, the fall season will raise the new needs for money. Administrative reform and financial autonomy of local governments is one large topic. As its only major reform, the government has promised the administrative reform but mere mergers aren’t enough to strengthen the local governments. Regrettably, to merge two poor parishes does not help much, if they do not restore the share of income tax for local governments on pre-crisis level before 2009. The other major topic if the work capacity reform that touches about 100,000 people. Surely, Centre will stand for the handicapped to be involved in the society and able to work as they are for for and able. The third vital issue is the topic of the refugees. The government is promising Europe that Estonia will cope with the ever increasing quota, but in reality we lack any long term plan. How will the families that have truly escaped from war integrate in our society? After what curricula will their children study? These questions beg definite answers. The fourth topic is the agriculture as the crisis thereof threatens thousands of rural jobs. What matters most for Centre is the people in Estonia. On the first week at work we have a meeting with the chairman of the trade unions with whom we will definitely discuss the raising of minimal wages. Also on week one, Riigikogu will process our bill regarding the lowering of electricity excise. In education, worthy wages for teachers – especially in kindergartens – is yet to be solved. We got acclimatised to being in parliament in spring, and are ready to be very forcefully engaged in the work in the fall. Being in opposition, unavoidably a large part of our work will be reacting to what the coalition is doing. Even in months to come, the hottest topic will probably be immigration; this is a strategic issue regarding the future of Estonia and steps taken today and tomorrow may alter our society, near or long term, beyond recognition. I see a whole list of other burning issues which are currently overshadowed, perhaps, by immigration. The other topic of strategic importance is the crisis in agriculture. Our agriculture has not faced a crisis so severe in 15 years at least – and, in connection with it, rural life as such. Explicitly, this is due to the work not done by the government. The fight against corruption, in connection to the opening of the Port of Tallinn abscess, will also be a topic of utmost principle. Lots of problems in Estonia are due to the same parties being at power for such a long time, the power they have turned into a tool for personal welfare on account of the overall wellbeing. The toughing-it-out coalition will make it till presidential elections, during the which they will descend into infighting within and with each other. Our aim is at first opportunity to free Estonia from the power of this government. As became evident with the latest governmental crisis: excluding the option of a minority government, nothing new can indeed be done without us. Early elections could be a solution, of course.